LONDON, November 22. /TASS corr. Ilya Dmitryachev/. 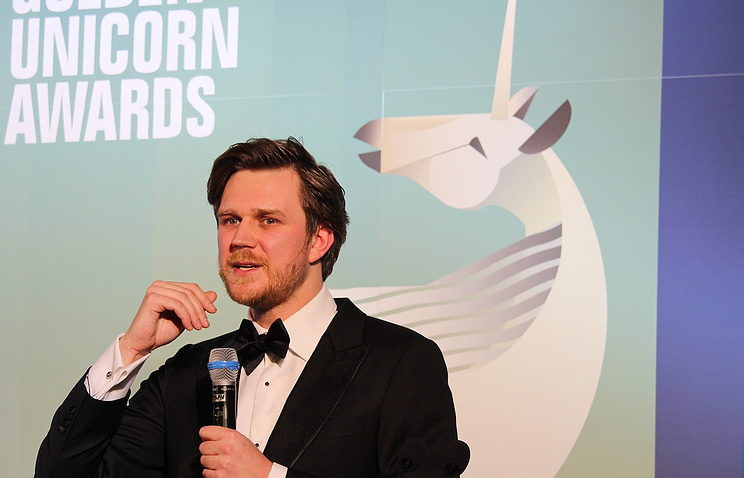 A record number of visitors are expected to visit the third Annual Russian Film Week in the United Kingdom, said Filip Perkon, Founder and General Producer of the Russian Film Week and the Golden Unicorn Awards. "Early this year, when relations [between Moscow and London] worsened, the situation with partners and sponsors has become very difficult and negotiations with them have, in fact, stalled. At some point, I thought that we might have to close down this event," he said. "However, sponsors and partners later realized that building bridges between Russia and Europe is an important mission, that even during the Cold War cultural exchanges between countries did not cease, and Soviet films were nominated for Academy Awards and shown in Cannes." "We are trying to avoid politics at all costs and give creative people an opportunity to exchange opinions and demonstrate their creative products," Perkon went on. "We don’t want to play political games, this is not our business." "Regretfully, not all people realize this. And we have to explain to all our partners that culture is culture and cinema is cinema," he added. The organizer expects the events of this year's festival to be attended by 50% more people than last year. "At present, we are organizing 68 events in one week, expect 15,000 visitors and will demonstrate over 50 films. We will hold even more workshops, and the number of [high-ranking] guests will increase from 80 last year to more than 130 this year," Perkon said. For comparison, the first Russian Film Week was attended by 4,500 people and the second - by 10,000. In the three years of its existence, the Russian Film Week has made it into the top five of the United Kingdom’s biggest national film festivals. The third Annual Russian Film Week will be held on November 25 to December 2, 2018 in landmark venues across London: BFI Southbank, Regent Street Cinema, Curzon Mayfair, Empire IMAX Leicester Square as well as in Edinburgh, Cambridge and Oxford. It will open with will be opened by Avdotya Smirnova's drama ‘Istoriya odnogo naznacheniya’ (‘The Story of an Appointment’). It Collected the Gorin prize for the best script at Russia's main national film festival Kinotavr. Its highlights also include Kirill Serebrennikov’s biographical film ‘Leto’ (‘Summer’), awarded at Cannes Film Festival for its music, and ‘Sobibor,’ the debut feature for actor-turned-director Konstantin Khabensky. The film is Russia’s submission for 2018 Oscar’s best foreign-language film. Besides the opportunity to see new Russian releases, visitors of the festival will have the chance to meet Russian filmmakers and film industry experts at numerous Q&A sessions, masterclasses, workshops, seminars, public talks and film art exhibitions. This year’s list of high-ranking guests includes Vladimir Mashkov, Konstantin Khabensky, Danila Kozlovsky, Fedor Bondarchuk, Avdotya Smirnova, Marina Zudina, Ivan Okhlobystin and other experts of the Russian film industry.